"I applaud D. James Kennedy Ministries for its efforts to expose the truth about the Southern Poverty Law Center, a discredited organization that has become so controversial that even the Obama Justice Department backed away from the group -- along with the FBI and U.S. Army. “For any reputable organization to use the Southern Poverty Law Center’s hate list, is reckless, irresponsible and uninformed. 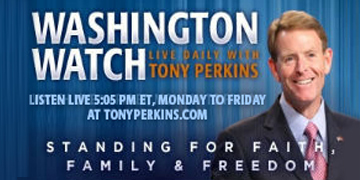 This is an organization that has been linked in federal court to domestic terrorism, committed against the Family Research Council, by Floyd Corkins, with information he obtained from SPLC’s so-called ‘hate map.’ On its website, the SPLC continues to recklessly label people such as House Majority Whip Steve Scalise who was recently shot by James Hodgkinson, a Facebook fan of the SPLC. “The SPLC is an organization that is an attack dog of the Left, they are not a neutral arbiter that is calling balls and strikes. They are on the field playing, pushing an agenda, and anyone who opposes them is slandered and slapped with a hate label. It is important to remember that the SPLC is the same group that identified Dr. Ben Carson as a hate monger because of his Christian values. (Only to retract the label later due to public backlash.) This is wrong. It's not the American way. The SPLC is inciting hatred against Christians, which has already led to violence. It needs to stop,” concludes Boykin.